Hornsea is a quiet beach resort with a distinctive traditional seaside feel, the town centre is quaint and charming, with a good mix of independent shops, bars, cafes and restaurants. Our favourite fish & chip shop, Whiteheads, is also here, near the south end of the seafront. If you fancy your hand at fossil finding, the sands to the south are amongst some of the best places in the UK to do this. Hornsea Mere is the largest freshwater lake in Yorkshire. A site of scientific special interest, it is a popular spot for bird watchers and home to many species of birds and waterfowl. You can hire a boat or for those who prefer to stay on dry land, there is an 18 hole putting green or treat yourself in The Mere Café and The Summerhouse Gift Shop. Hornsea Freeport is the place to indulge in some retail therapy, the many factory outlet shops are set amongst attractive landscaped surroundings and with award-winning farm shop and cafe, Williams Farm Kitchen, on hand there’s the perfect place to relax and refuel during your shopping trip. 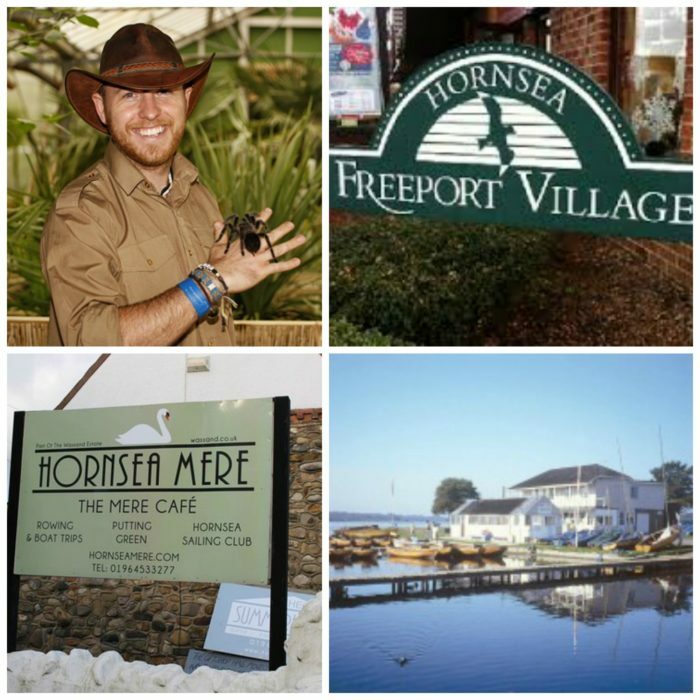 Throughout the year, Hornsea Freeport holds an exciting programme of free events, designed to entertain the whole family and be sure not to miss Bugtopia – where your little explorers can get up close and personal with a variety of bugs and small creatures. On a rainy day, there is also Beach Cove, an indoor and outdoor soft play area with ball pools, chutes, slides and a sand pit to let the kids burn off some energy. Hornsea Leisure Centre is the closest public swimming pool and is a really lovely pool. Honeysuckle Farm is just on the outskirts of Hornsea, a very cute little petting zoo. Mr Moos is the famous local Ice Cream Parlour and not to be missed, it’s on the road North of Hornsea towards Skipsea and Bridlington.